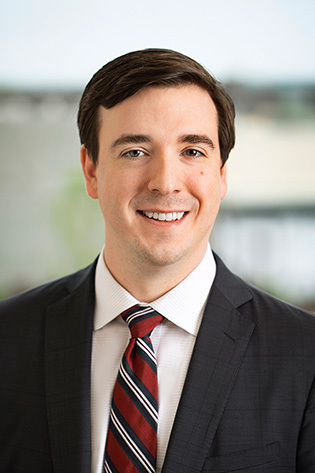 Craig Cockrell’s practice focuses on providing tax and transactional advice to a variety of businesses, individuals, municipalities, and state agencies, including business start-ups, stock and asset acquisitions, real estate transactions, and public financing transactions. He also assists individuals and families with preparing and implementing estate and business succession plans and other wealth transfer strategies. In addition, he has extensive experience representing businesses and individuals in administrative tax proceedings before the IRS and Arkansas Department of Finance & Administration. Advises buyers and sellers during negotiation, structuring and closing of private business stock and asset acquisitions and real estate transactions. Counsels clients regarding the legal, tax and practical aspects of small business start-up and operations, including the formation of partnerships, LLCs, and corporations; preparation of partnership and LLC operating agreements; and the preparation of contracts such as leases, employment agreements, and non-competition agreements. Provides tax analysis to municipalities, universities, state agencies and underwriters regarding the tax-exempt aspects of municipal bond financing. Assists families with the preparation of simple and complex estate plans, including the preparation of wills and revocable trusts, and implementing tax-advantaged wealth transfer strategies employing irrevocable trusts, private foundations and family holding companies. Advises established and start-up non-profit organizations in matters related to incorporation and tax-exemption status. Extensive experience representing taxpayers through all levels of state and federal tax examinations and appeals, from individuals and small businesses to large private corporations, focused on a range of issues including individual and corporate income tax, employment tax, and sales and use tax.